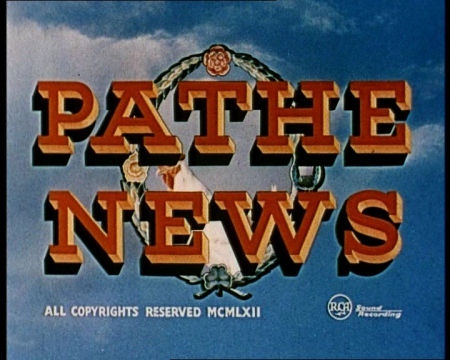 Historical Newsreels on youtube by British Pathé. This new addition to our resource page not only holds film records of past historical events but of everyday life also. The British Pathé company was once a dominant feature of the British cinema experience. Before the advent of television, millions around the globe came to movie theatres for their weekly dose of filmed news. The birth of this phenomenon took place when renowned French filmmaker Charles Pathé came to London in 1910 to introduce an innovative medium to British audiences – the cinema newsreel. Over the course of a century, British Pathé reported on everything from armed conflicts and seismic political crises to the curious hobbies and eccentric lives of ordinary British people. In so doing, the organization set the benchmark for cinematic journalism, blending information and entertainment with unparalleled success and influencing whole generations of Britons. This collection begins with before pathe in 1896 to present day and the 85000 films can viewed on youtube. Follow the link to the Pathe website.